|It had been three months, since Ashlee had sent Hunter to the Island of Saikikku. there he would train with her mothers old master, Zang-Tu. She decided it was time to pay them a visit. Ashlee booked the appropriate means of transportation to get to the Island. Master Zang-tu was happy to see Ashlee, and welcomed her with open arms . He hadn't seen her since she was ten years old, he was amazed when Hunter turned up on her recommendation. Master Zang-tu was sure she would have forgotten him and that was why she had never returned to complete her training. "well now I got her here, she can complete it " he thought to himself. Hunter wanted to tell Ashlee, everything he had learned over the past three months. He was explaining to her how he could read minds, use telekenisis and recently had learned physcic blast, this had taken a while to get used to as it drained him originally, but as he made his mind stronger and excepted his fate as a physcic warrior. He found an inner strength and was improving greatly. Ashlee knew, she had done the right thing, sending Hunter here to Saikikku. But had she done the right thing in returning and would Zang-tu help. Hunter was very inquisitive, about what had been happening back home. He asked about his former partner Sgt Andrew Johnson and about Shannon and T.J, only to find out that Ashlee hadn't really seen them, since T.j joined the Birch City police force. Sgt Johnson was now Lieutenant Johnson and Shannon had taken a job as a movie photographer. She explained how now she worked with former special Agent Sidd Davidson and that they was trying to figure out some very weird disappearances of physcic and magical folk. Hunter was gobsmacked, why would some one want to kidnap people with special abilities like his and Ashlee's, why would some one want to collect these people. He wondered about it for a minute, not realising he had just missed the rest of the conversation between Zang-tu and Ashlee. Hunter interrupted their conversation.
" So we're going after them aren't we ? " he questioned.
" So Hunter, you have finally returned to the present, I hope you was in deep meditation or your abilities have just given you some knowledge of what we are up against." Zang-tu asked annoyed at his student. Hunter again felt the warmth of embaressment, like he had done many times over the past three months when Zang-tu had caught him day dreaming, instead of concentrating on what his master was teaching him.
" No Hunter master Zang-tu, believes that I should resume my training before returning back to Larch City. I don't think The league of Physcics will be able to cope with out me, there is only a few of us at the moment" Ashlee moaned.
" Like I told you Ashlee, the league, as you so call it, will be better off if you learn how to control your powers. You are very powerful after all." Zang-tu replied.
" Ok, ok, but don't forget I did beat my uncle and he was powerful also" she bragged. Zang-tu recongnised the same ignorance her uncle had, when he was younger. He refused to loose another student to the shadows, he would not let her return to what would be if the prophices were correct an epic battle of good verses evil, not until she was ready at least.
" Come, for now we eat and settle down for the night, training begins at day break tomorrow" he told them both. Training had been exhausting, Ashlee hadn't ever been so drained after using her abilities, but Zang-tu was very powerful.
" Good God, he is really strong, the old goat" she thought. She looked over to Hunter, to see him stood there panting but smiling. Ashlee wondered how he could still be smiling after this mornings gruelling training. She decided that she was just mentally tired, deep down she knew she had never entirely used her powers to their full extent. She felt disappointed, that even after defeating her uncle. She still hadn't tapped into her full potential, even though she had felt her self getting stronger with the techniques her mother had taught her. Ashlee knew, Zang-tu had been right, she wasn't ready for what was going on back in Larch City. Zang-tu saw Ashlee's attitude change in that afternoons training session, and no matter what he threw at her she was determined to over come it. The days turned into weeks, Zang-tu saw both of his students becoming more powerful, he knew they would become so powerful that if they worked as a team they could even beat him. He had to put a mental block up, to stop hunter from reading his mind and recently Hunter had learned how to plant images into some ones mind. 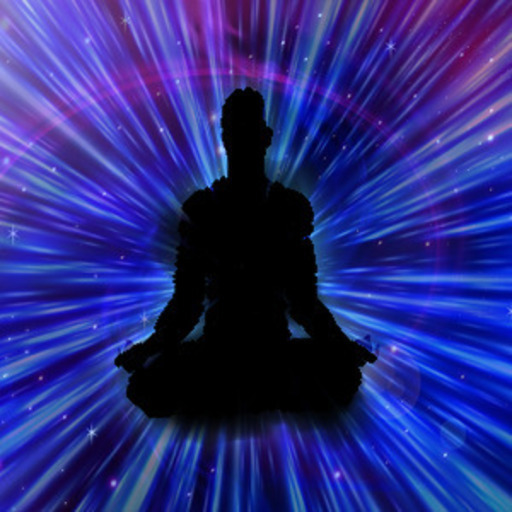 Ashlee had learned to control her astral projection to a degree that she could slow down the time her body was in while her astral form was about. She had also learned how to use her psycic blast and telekinesis whilst awake, her most powerful gift was not just mind reading but she could alsohave a conversation with others in their head. Hunter had been smiling for weeks and knew he was getting stronger, he also felt a strong mental link with Ashlee and was trying to build on it. Hunter knew Ashlee had a mental block up, he also knew she was concentrating on getting stronger which worried him, he didn't want her to get hung up on her power but just embrace it, he decided he would talk to her later and if he still had any concerns, then he would talk with Master Zang-tu, hopefully one of them would be able to make her see that she needed to open up and embrace her new powers, with that Hunter decided to get something to eat and rest before Zang-tu made them train some more.